A Guide to the eight different back types we have assigned to the postcards. 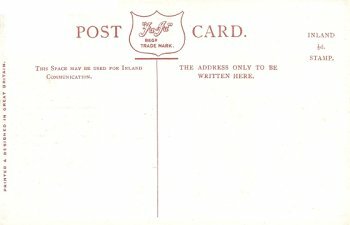 Type 1 - Red print on reverse, no text on left. 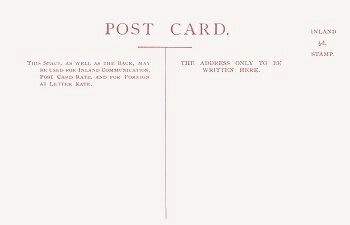 POST CARD in one line top centre. Type 2 - Brown print on reverse, no text on left. 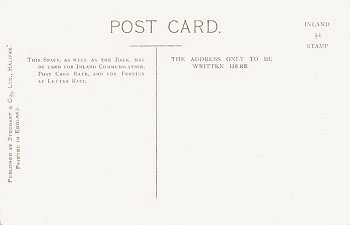 POST CARD in one line top centre. Type 3 - Red print on reverse, text on left. 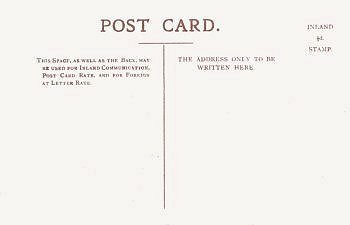 POST CARD in one line top centre. Type 4 - Brown print on reverse, text on left. Type 5 - Red print on reverse, text on left. 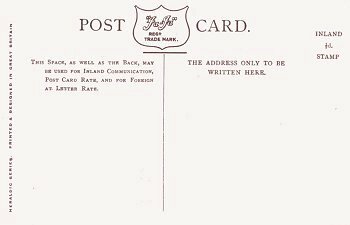 POST (logo) CARD in one line top centre. Type 6 - Brown print on reverse, text on left. 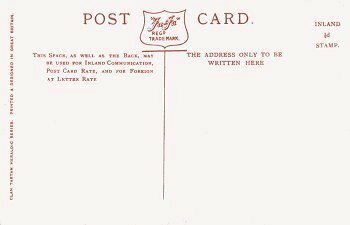 POST (logo) CARD in one line top centre. Type 7 (?) 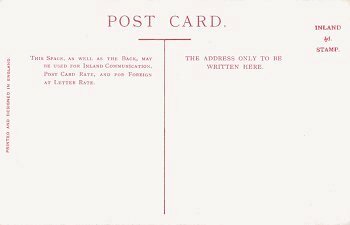 - Red print on reverse, text on left. Less wording at left below logo. NOT YET SEEN Type 8 - Brown print on reverse, text on left. Please note that the types can be sub divided further but our intention is to provide a simplified guide. Please feel free to use this guide and a link to this page is always appreciated.